Third in the series by Impact International. 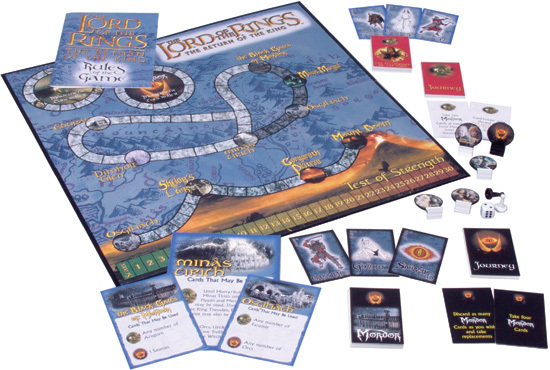 This series can be played as a set with playing with the other two games from Impact International (Fellowship and Two Towers). 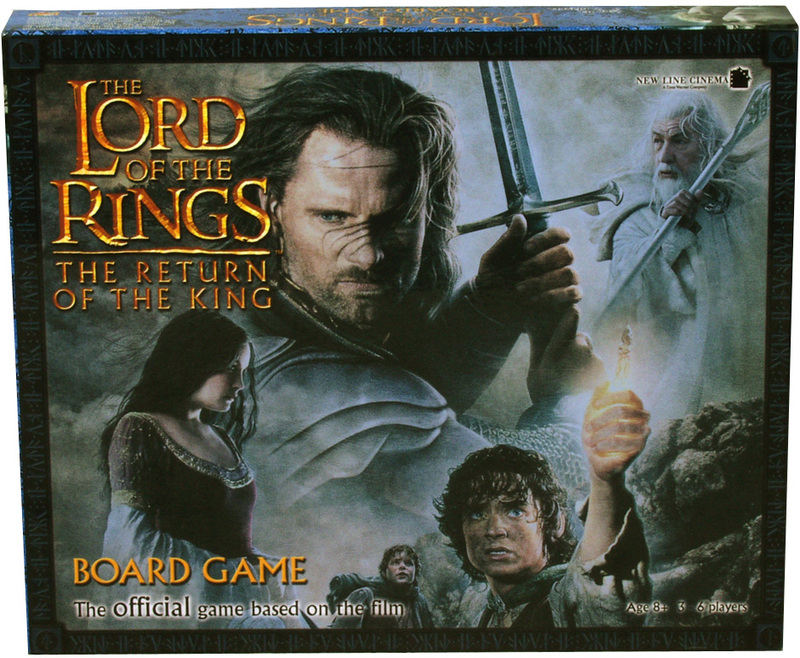 The box and artwork look like the Rose Art series who also have three games (actually Return of the King is due out this summer, of 04). But the games are very different. This game is very hard to find in the after market. The Impact International games are available in the UK at Toys R Us (not in the US) or through Impact International. Update 2006 - good luck finding this anywhere.